Sometimes, the fields that appear in an application form are there because of long lost reasons - they've always been there. But with the insight that the lengthier or more complex an application form, the greater the likelihood that a prospective applicant will fail to see it through to completion, does this bit of information really need to be asked at this moment, or could it be obtained later, after initial acquisition of the candidate? Which data delivery method should I use? The typical integration utilizes the REST POST delivery method to receive applicant information. In circumstances where an applicant flow requires the completion of additional interview questions at the career site, the REQUEST delivery method is utilized to forward the applicant interactively to the career site after submitting the Flexible Apply form; this workflow is more complex than a simple POST integration. Flexible Apply also supports a basic email delivery method to email applicant information. 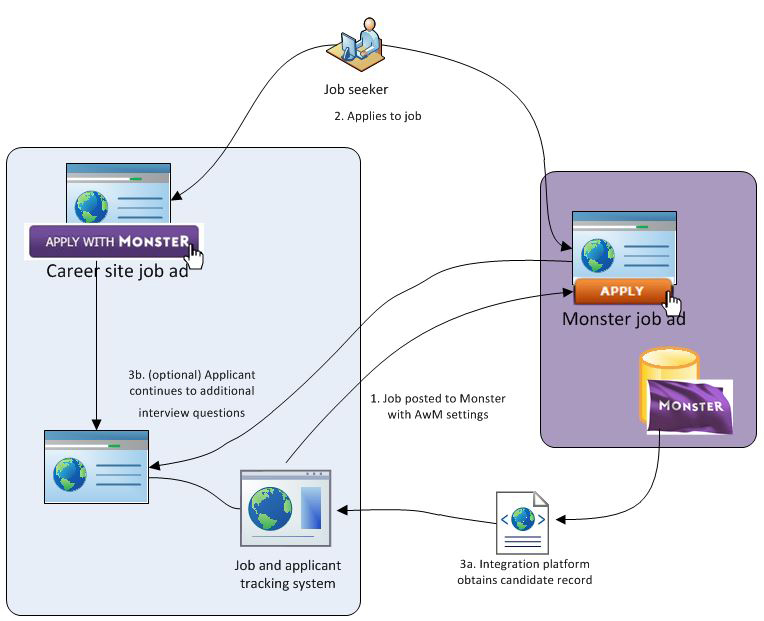 Monster supports both JSON and XML data format for the applicant records.